Type in the name of the file to store the Actinic information into (including the directory). This is the name of the file that you will use to import into Actinic (or a different site). 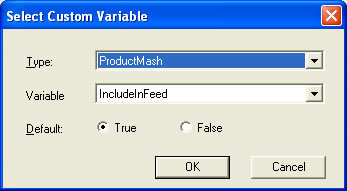 You can then select the custom variable to use to determine if you want to include this product in the feed. You can set the default value to True (include in feed) or False (don't include in feed). 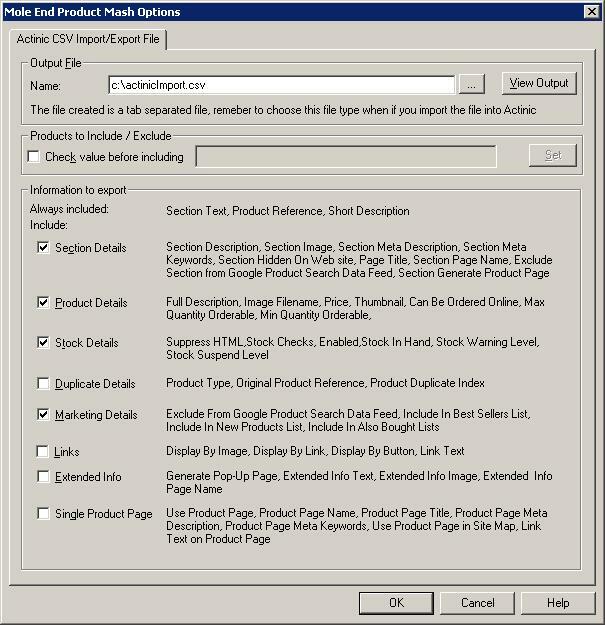 This value will be used if a custom variable value has not been assigned to a product. Note: When you create a custom value you should set its type to True/False. You can choose which information to export for your feed. By each type is a description of what information is included. If a section is greyed out, then it is not available for your version of Actinic.